HVAC Maintenance: 4 Reasons Why You Shouldn’t Forego It at Any Cost! An HVAC system is like a careful guardian, keeping you warm during chilly winters and cool and refreshed when the sun is at its might. In respect of the services rendered, it is only justifiable that you look after the system regularly to ensure it continues to functions effectively for longer while saving on energy bills and replacement costs. There is a plethora of reasons why having your HVAC system checked by a certified technician should be on the top of your to-do list every month. 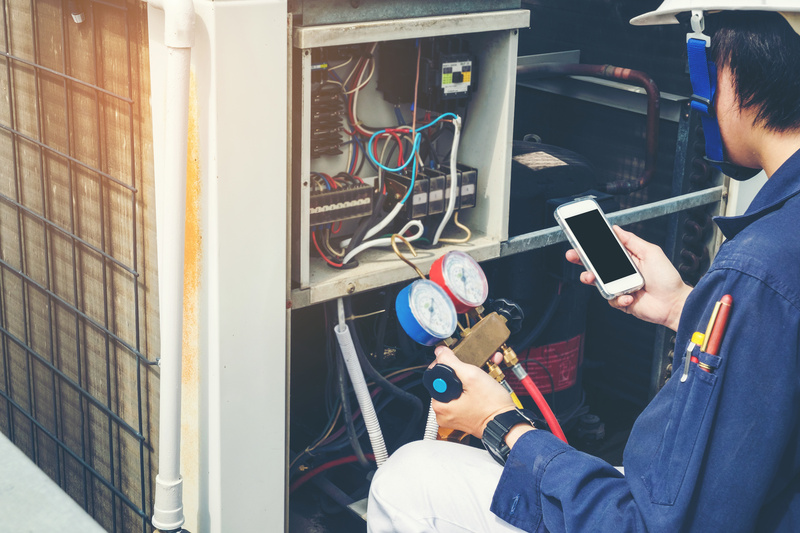 This blog highlights four reasons to keep you motivated to have your system looked at every month for HVAC maintenance. Regular HVAC maintenance means that an expert comes over and analyzes the entire unit for any faults or parts that require service or maintenance. This means that any potential problems can be nipped in the bud before they grow to harm the entire unit. Neglecting periodic maintenance means that even a small problem being caused by a little faulty piece can grow the render the entire system useless and leaving you with a huge dent in the pocket. By resources, we mean you save a lot more than money, both in the long and the short term. Regular maintenance checks are not only time-saving, they save you the frequent headaches of costly repairs and huge energy bills. An efficiently running HVAC system will cut your power expenses, your annual bill for repairing faulty parts and the time you spent worrying about why your system keeps failing every now and then. Furthermore, you also save on the time you might have to spend having to deal with bigger repair and replacement problems. It might seem made up but faulty HVAC systems pollute the indoor air with allergens and bacteria which if inhaled can be extremely detrimental to not only your health but the health of your loved ones as well. The filters installed in your system work by filtering a large number of harmful agents from the conditioned air ensure that you breathe in a safe environment. However, when you forego periodic maintenance, these harmful agents accumulate and block the filters rendering them ineffective. New systems come under warranty from the manufacturers. Having them checked regularly means that if any part develops a fault early on, it can be replaced free of charge. This allows you to save money and avoids the warranty from going to waste. It is important to check your systems warranty card for the details as to what is covered in it and what is not. Everything created, whether by nature or humans requires maintenance from time to time to keep it running efficiently. There are numerous benefits to regular care that include saving resources like time and money, prolonging the life of the systems and keeping disease-causing elements at bay. If you are in search of a reliable service that can install and maintain HVAC systems in your home, turn to Climate Control. Get a FREE estimate of the cost by getting in touch with them by dialing 859-469-4182. They have served the Lexington area since 1968 and are known for their honest approach to their clients. The service is available 24/7 so call now.